Heat oven to 350°F. 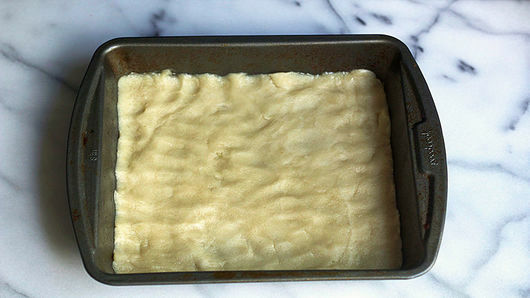 Generously spray 8-inch square pan with baking spray with flour. With floured-fingers, press half of cookie dough in bottom of pan. 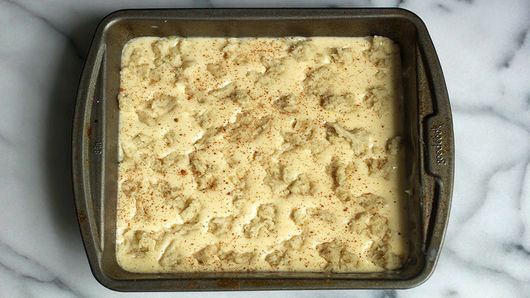 In bowl of stand mixer or in medium bowl with hand mixer, beat cream cheese and eggnog until smooth. Add sugar, egg yolk and 1/4 teaspoon of the cinnamon; mix until combined. Evenly spread cheesecake mixture over cookie crust. Crumble and sprinkle remaining half of cookie dough over cheesecake mixture. Sprinkle evenly with remaining 1/4 teaspoon cinnamon. Bake 40 to 50 minutes or until filling is set. Cool in pan on cooling rack 30 minutes. Refrigerate bars at least 1 hour to firm up. To make Salted Caramel, pour caramel topping in small microwavable bowl. Microwave uncovered on High 30 to 40 seconds or just until warm. Stir in sea salt until dissolved. 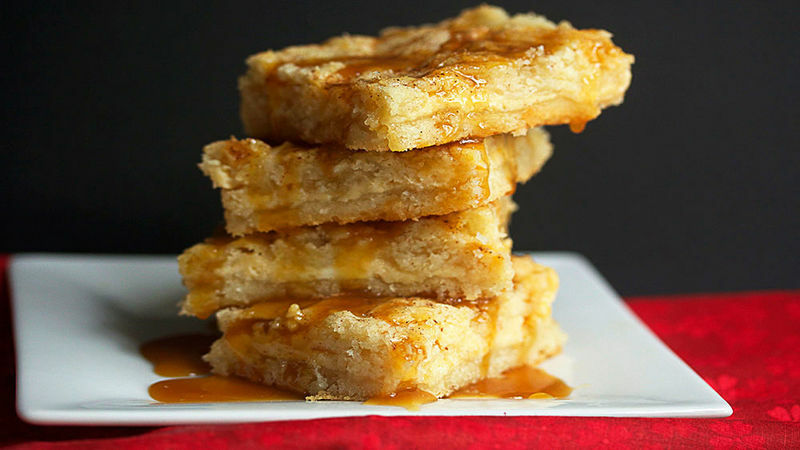 Drizzle salted caramel over bars. Cut into 4 rows by 4 rows. 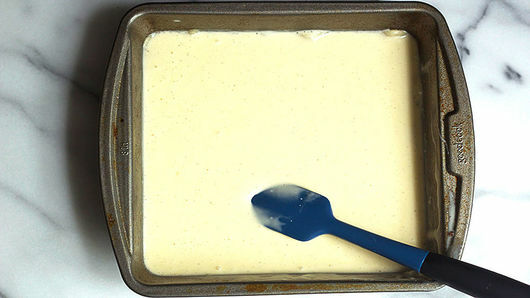 Use a wet knife for cutting cheesecake bars, wiping off crumbs after each cut. Cut the bars into larger servings and serve with a fork.